The reported remarks used in "Fire and Fury: Inside the Trump White House" -- an explosive behind-the-scenes account that questions the president's fitness for office -- have led to a very public split with Trump. 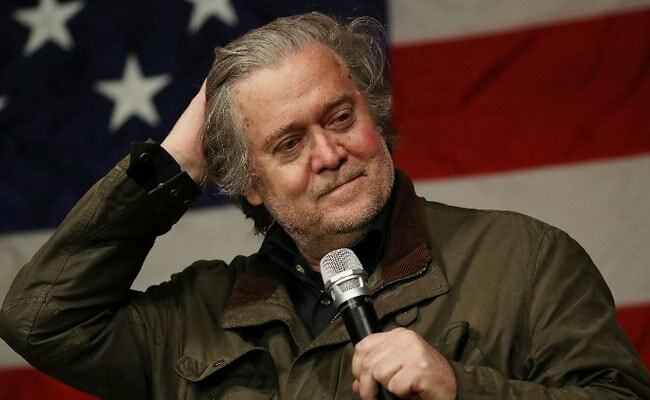 New York, United States: Donald Trump's former White House strategist Steve Bannon has stepped down from Breitbart News, the conservative news outlet announced Tuesday, amid controversy over his incendiary comments about the president quoted in a new book. "I'm proud of what the Breitbart team has accomplished in so short a period of time in building out a world-class news platform," Bannon said in a statement carried on Breitbart's website. "Steve is a valued part of our legacy, and we will always be grateful for his contributions, and what he has helped us to accomplish," Breitbart CEO Larry Solov said. Bannon and Breitbart will work together on a smooth and orderly transition, the news site added. Bannon had served as Breitbart's executive chairman since 2012. During his time at the White House, he took a leave of absence from his duties with the news outlet.